The following questions are intended for a variety of audiences—the members of a book group, students in a college seminar or upper-level high school class, or individual readers taking time for further reflection. Some questions address the larger motivations behind Marina Keegan’s work; some examine technical, structural, or thematic elements within her prose; some consider her legacy as an activist pushing her readers to take action; some focus on the young woman now so dearly missed. Of course, all of these questions serve only as starting points. The best discussions will occur as you take these prompts in the directions that most fascinate, puzzle, or inspire you. 1. 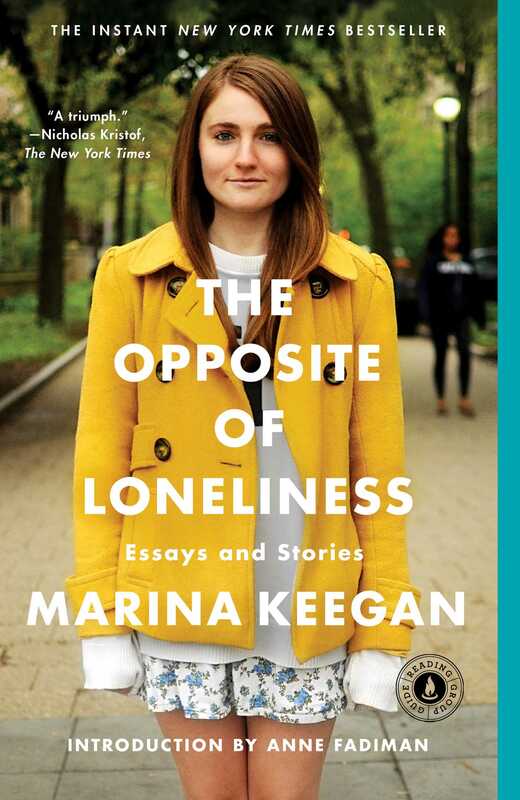 Marina Keegan wrote the essay “The Opposite of Loneliness” specifically for her Yale graduation in 2012, and the single line “The hats” refers to the college’s Class Day tradition of seniors wearing creative, colorful hats. Yet many readers have found its message to be universal, evoking their own days at college, at camp, or in any other tight-knit community. What makes Keegan’s words apply to any group of people who have found a powerful sense of connection? What would you define as your own personal opposite of loneliness? 2. In “The Opposite of Loneliness,” Keegan insists, “What we have to remember is that we can still do anything. We can change our minds. We can start over” (p. 3). After reading this piece, have you realized you want to reevaluate any- thing in your own life? Given her sense of possibility and hope, as well as the permission to fail, is there some goal or project you now feel empowered to pursue? 3. Some reviewers have responded most powerfully to Keegan’s nonfiction, while others find the fiction more compelling. Do you prefer the stories or the essays? Does this choice match your usual preference for fiction or non- fiction? Which individual piece has stayed with you most vividly, and why? 4. Several lines from Keegan’s poems are quoted between sections of the book, and her spoken-word performances of the poems “Bygones,” “I Don’t Know about Art,” “Nuclear Spring,” and “Rolling Stones” all appear online at theoppositeofloneliness.com. After viewing these short videos, what do you notice in her delivery, and how does this influence your understanding and appreciation of her work? What does she emphasize through her pacing and voice? How does her physical presence affect each piece? 5. Anne Fadiman’s introduction offers a powerful set of insights into Marina as a young woman and a writer. How do these shared moments shape your reading of the col- lection? 6. As Fadiman notes, one of Marina’s strengths is that she writes in her own voice as a young person. What about her depiction of young love is particularly evocative? What does young love have that more mature love lacks, and what does mature love offer that is missing in young love? 7. Despite the collection’s youthful energy, many readers have also found Keegan’s voice to be entirely universal, the offerings of an old soul. What wisdom beyond her years does she share? 8. The cover photo, taken by Joy Shan, Yale class of 2015, captures Marina’s direct, confident presence. This image also evokes the sense of fleeting time Keats addresses in “Ode on a Grecian Urn,” a poem that in “Cold Pastoral” Claire is taught has “tragedy . . . in eternal stasis” (p. 10). At which moments in the text does Marina’s individual voice appear most distinctly, similarly freezing her mes- sage in a single moment or idea? 9. “Cold Pastoral” offers a haunting look at how a college community reacts to the sudden death of a young person. What interpersonal dynamics resonate for you as Claire reconsiders her relationship with Brian, her sense of her- self, and her unexpected connections to Lauren? 10. Keegan was also a gifted playwright. Within the dialogue that appears in her stories, how does she employ specific rhythms and diction that reflect this background? In terms of pacing, tone, or emphasis, what advice would you give to someone performing these pieces or reading them aloud? 11. Though Keegan was vibrantly alive in person, her writ- ing often considers death and mortality. One of the adult characters in her play Utility Monster says, “I wanted to do something important . . . 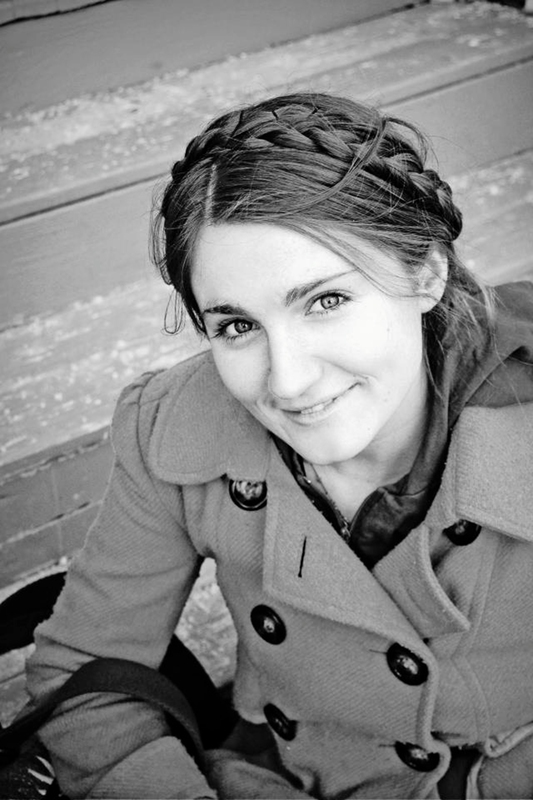 I wanted to contribute something that would be there when I wasn’t.” Once you know that Keegan died in a car accident just five days after she gradu- ated from college, what lines from her stories and essays strike you most powerfully? 12. In her personal journal, Keegan wrote, “I hate that I feel I am running out of time. I must always remember that time is all there is and we are always running out of it.” At what points in this collection do you feel a similar sense of urgency? Is living with an appreciation of time’s swift passage ultimately empowering or limiting? 13. Keegan’s stories and characters employ many light moments and quick one-liners. When does her humor emerge to shift the tone or underline her message? What moments made you laugh out loud? 14. The inability to see is central to both “Reading Aloud” and “Challenger Deep,” while the narrator in “The Art of Observation” initially relishes being looked at and photo- graphed before she flips roles and snaps a picture of the woman who had been watching her. How does Keegan’s writing make use of the senses—both visual and nonvi- sual—to make the reader’s experience more powerful? In addition to these examples of physical blindness, which stories include characters metaphorically blind to what lies before them? 15. Specific mentions of Keats, Swan Lake, Andy Warhol, Salvador Dalí, Othello, Islamic architecture, Shakespeare, Monet’s lilies, Hemingway, Milton, and libraries appear throughout this collection. How do these scholarly and artistic references enhance the more informal tone of Keegan’s prose? 16. The last paragraphs of individual stories are worth careful examination and rereading. What details does Keegan set up earlier in each piece to make these endings particularly powerful? How does she seal each story while still using a light hand? When does she allow ambiguity? Which end- ing do you see as most effective, and why? 17. “Stability in Motion” uses the evolution of Keegan’s car to parallel her own journey during those years. What individ- ual details make the story most vivid? What imagery, such as the deconstructed scrapbook (p. 148), is most evocative in describing this time? Do you have an object or place in your own life that tracks a similar sense of growth or change? 19. “Against the Grain” is particularly poignant and personal as it captures the voice of an exasperated teenager who comes to appreciate the lengths to which a parent will go to care for her child. What details are most effective in shaping these shifts in voice, and how does Keegan craft the moments of final realization? What is the effect of the story’s non-chronological sequencing and splicing of scenes? In a broader sense, when can well-intentioned parenting meant to protect or support actually result in harm? 20. The day she graduated from college, Keegan told her mother that she was especially proud of her Yale Daily News article “Even Artichokes Have Doubts,” which went on to be adapted for the New York Times and discussed on NPR. When The Opposite of Loneliness was first published in April 2014, columnist Nicholas Kristof wrote, “Keegan was right to prod us all to reflect on what we seek from life, to ask these questions, to recognize the importance of passions as well as paychecks—even if there are no easy answers.” As Keegan reminds other young people that “we can do something really cool to this world,” what points does she emphasize? What counterarguments might she have considered more specifically? Do you share her con- cern about where so many top young graduates take their first jobs? Do you worry that you need to compromise your own dreams for practical concerns? Why or why not? 21. Keegan often mentions jealousy, either in romantic tri- angles such as those depicted in “Cold Pastoral” and “The Ingénue” or as she considers others achieving suc- cess (p. 205). Ironically, she even mentions “jealousies of those who get the chance to speak from the dead” (p. 207). How does this very human admission affect your attitude toward her work? What do her jealousy and the confessed objects of her jealousy reveal? 22. In pieces like “Why We Care about Whales,” “Putting the ‘Fun’ Back in Eschatology,” and “Song for the Spe- cial,” Keegan shares her concerns for the planet and the entire human race. She admits, “I worry sometimes that humans are afraid of helping humans” (p. 153), even as she remembers the elementary school insistence that “One person can make a difference” (p. 206). She notes that “Fifty stranded whales are a tangible crisis with a vis- ible solution” (p. 154), while climate change, homeless- ness, hunger, and other national or global issues seem entirely intractable. In your view, is she right? What stands in our way of truly making this a better world? Why don’t we realize that “we’re in this together”? Why does Keegan still find hope in humanity? 23. Look back across the entire collection to see how Keegan’s titles stand out for their specificity, individuality, and punch. Which title is the most striking or initially the most unexpected? What larger patterns stand out in what she chooses to emphasize? Which title most affected your understanding of the piece that followed, and why? 24. “The Opposite of Loneliness” and “Even Artichokes Have Doubts” have clear activist messages, and Yale professors Anne Fadiman and Harold Bloom note that Keegan is working against “the death of literature” (p. xi) and “the death of the mind” (p. 193). In her poem “I Don’t Know about Art,” she wonders if “my play, my poem, my song, will make a difference. / Or it won’t.” Given that “Song for the Special” ends with Keegan offering her card to the uni- verse, how do you describe her impact or define her legacy? – Deborah Treisman, Fiction Editor, "The New Yorker"
– Nicholas Kristof, "The New York Times"